This is the basis of the Science Mill’s new group for kids: the Science Outside Club. The Johnson City science, technology, engineering, and mathematics (STEM) museum partnered with the Texas Parks and Wildlife Department to design the club for youths in grades 4-7 who live in Blanco and Burnet counties. The Science Mill is hosting three registration events in Marble Falls, Burnet, and Johnson City: 10 a.m.-3 p.m. Saturday, Feb. 9, at the Johnson Park Amphitheater, 230 Avenue J in Marble Falls; 1-4 p.m. Sunday, Feb. 10, at Hamilton Creek on West Jackson Street in Burnet; and 1-4 p.m. Sunday, Feb. 24, at the Science Mill, 101 S. Lady Bird Lane in Johnson City. All events will include science-based activities as well as snacks. The club is free to join, but membership is limited to 60 students. Transportation to club events is free to members as is a technology tool kit to be used throughout the program. Among the things students will be doing are learning how to use GPS and handheld navigators, typography and maps, microscopes, and other science gadgets. They’ll examine water quality and learn about conservation as well as fossils. Middlebrook said the club will meet four times in the spring then host a one-week summer camp, STEM Career Immersion (SCI), on June 24-28 and July 8-12. 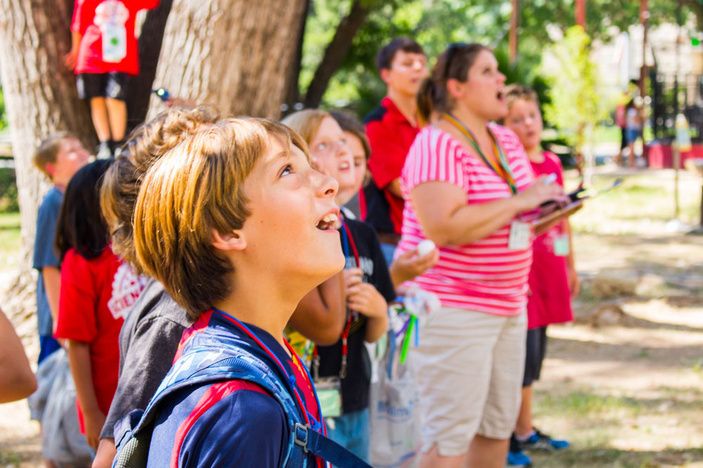 Campers will stay overnight at Bamberger Ranch for bat and night sky programs. Members will also take field trips to Blanco, Pedernales Falls, and Inks Lake state parks. “We have amazing resources in the Hill Country, and you can see all the possibilities,” Middlebrook said. Contact Middlebrook at amber.middlebrook@sciencemill.org or (844) 263-6405 ext. 1003 for more information about the Science Outside Club. Saturday Feb. 9 event in Marble Falls is actually from 10am to 3pm. It is on the Science Mill website under Science Outside. It will be cold so bundle up.